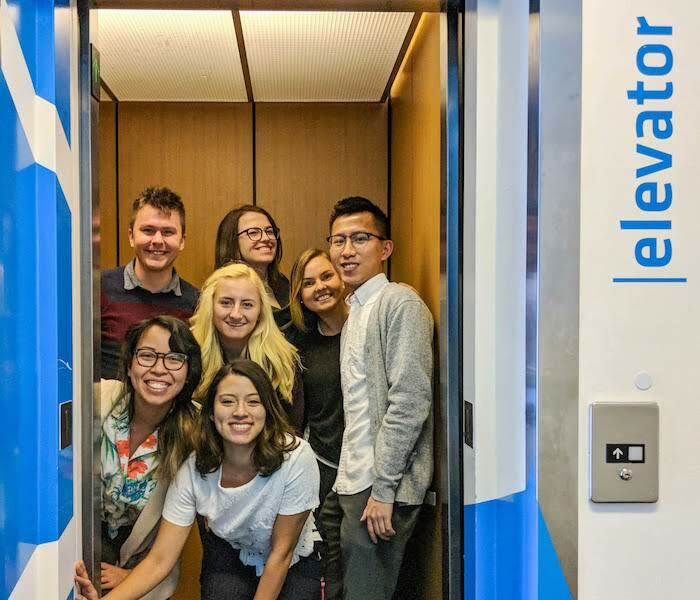 Last semester, a team of MDM students worked on a project with Elevator Strategy, a Vancouver-based marketing company, and Sustainable Brands, a global community of business innovators. The students were tasked with creating a product to enhance the networking experience at the Sustainable Brands Conference, happening in June 2018. The students developed an app called Mesh that encourages conference attendees to connect using QR codes and then visualizes the connections at a conference. The students had their product tested by conference attendees at the Sustainable Brands Conference. Here is team member Daniel James and his account of seeing their app being used in the real world. The annual Sustainable Brands conference just took place in Vancouver the week of June 4th! Sustainable Brands is a conference designed to inspire, engage and equip today's business and brand leaders to prosper for the near and long term by leading the way to a sustainably abundant future. This year was the first time Sustainable Brands was held outside of the United States. We were lucky enough to attend and see Mesh being used in the wild. Mesh is an app that allows conference attendees to quickly swap contact information using QR codes, and then those connections are visualized, live, in a web on TVs around the conference. 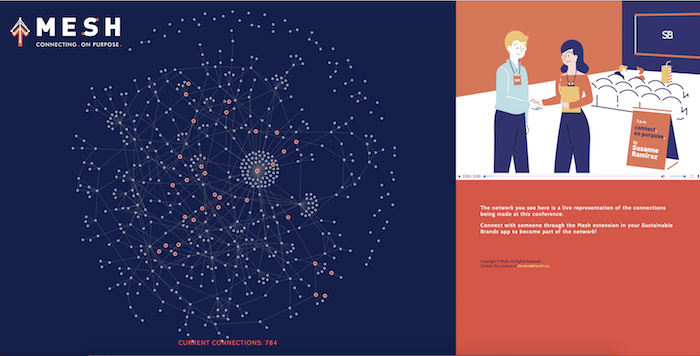 The visualization gives Sustainable Brands a valuable overview of the number of connections their conference enables. We created Mesh over an 8 week period at the Centre For Digital Media and are very proud of what we built in that time. Sustainable Brands and Elevator Strategy were both very happy with our work. We built Mesh in such a short time frame that we didn’t have time to properly debug or test all of the app’s functionality, so every time I saw someone scan someone else using Mesh, I got a little bit nervous that everything would break and their phones would explode. Seeing people using Mesh to connect with each other was exciting and nerve-wracking. It was awesome to see people enjoying something we made, but it was also scary because we knew it still had bugs and was far from perfect. Every time we told someone that we made Mesh, I felt the need to tell them it was not rigorously tested and apologize for the bugs, but most people were very positive about it and generally pretty forgiving. 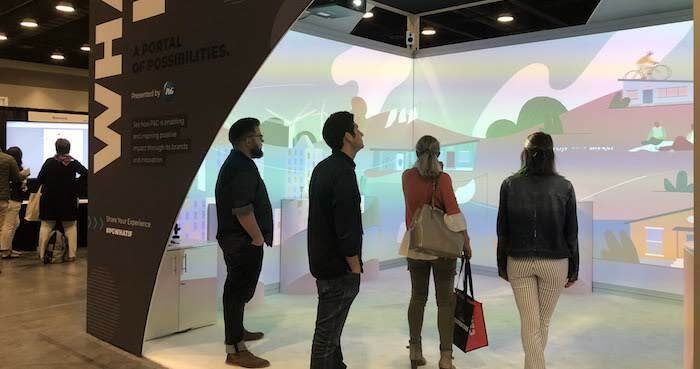 So many people connected through Mesh that the visualization actually broke out of its container and we had to ask the Sustainable Brands organizers to zoom out in the browser window on the TVs where Mesh was displayed. Watching people use the app revealed lots of little edge cases and bugs that made me want to pull out my laptop and start coding fixes on the spot, but I had to come to terms with the fact that our creation was out there and being used, problems and all. Seeing real people using an app I helped make was scary, and hearing their feedback was even scarier, but the experience was extremely valuable, and I couldn’t be more proud of our team and what we were able to accomplish in the short time we worked on Mesh. Read about another AR project, a storytelling app students built for Vancouver Chinatown Foundation. See all the projects MDM students are working on.